Cheerleaders say yes, "Get that BOW". This great Cheer bow is red, white, and blue with the words "GO TEAM" in megaphones and stars all over this white satin bow. 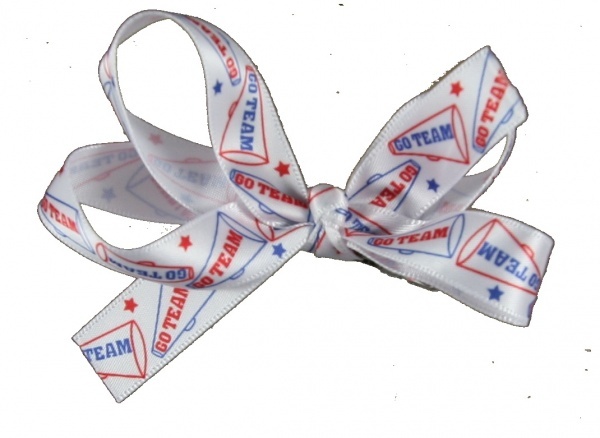 This size cheer bow is great for piggytails- just get two, or for small ponytails to the side of the face. This is a great spirit bow for all of those spirit days at school too.